Today, we talk about the most loved device, the Apple TV Canada Review, a box made to forget your cable subscription for good. This post will give you a comprehensive review on the Apple TV 4k, giving a quick breakdown to help you make the right decision. The world is moving towards a new revolution, where people in Canada are fighting against the monopoly of the local cable companies and their atrocious pricing control on their entertainment needs. With Google first moving with the Nexus Streaming Player, now Apple is moving in to help you people with is Apple TV 4k. What is the Apple TV Canada 4K? 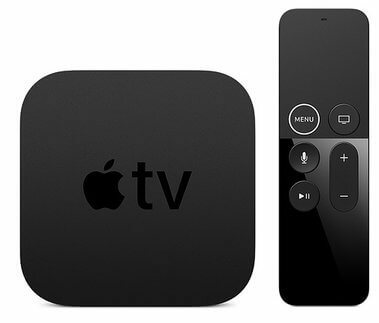 Apple TV 4K is the the latest streaming box manufactured by Apple to compete against the Xiaomi MI TV Box and the other Chinese make android streaming boxes, that are hitting Canada in today’s age. This streaming device is a premium variant and gives you the most complete entertainment package in your living room. In one word, you can call the Apple TV 4K – A Masterpiece – that brings to you the most amazing picture quality with Dolby vision surround sound to help you with your entertainment needs. The ultra-high-definition is the future in entertainment, with growing internet connectivity. And, the most popular HDR (high dynamic range), provided by the Apple TV brings to you a more vibrant picture, with extra brightness and superior contrast, that gives you a feeling of watching your streams in the theatres. Apple TV 4K supports HDR10 standard and the latest version of Dolby, making it completed future-proof. The all-new TV box from Apple is a complete revamp from the earlier edition and is now much more stronger, faster and smoother than its previous brother, with much more iOS apps and ease of use for every person in Canada. The Apple TV 4K looks very distinct and premium, just like the iPhone, we carry. It is sure to attract a lot of attention in your living room. It is the same little neatly shaped black box that is convenient to hold and install in your entertainment setup. The box also houses a vent at the bottom, which does the major part of cooling the internal system of the Apple TV box. What we loved here is that the fan powering the cooling was completely silent, when powered on and did not hinder our cinematic experience. However, ensure that your vent ports are open to optimize the cooling performance. Overall, the Apple TV box looks pretty unique and with the compact design, sure oozes out elegance in all ways. Coming to the hardware specs, the Apple TV 4K comes with the all new A10X Fusion chip that powers the latest iPad and iPhone X. The system-on-chip powering the design is a powerhouse, making your streaming completely easy without any shuttering. The apps open very quickly, and the memory management is very efficient, even if the app is paused, the app resumes very quickly. The UI is pretty slick, just like the one on your iPhone or iPad. Every game or app we threw at this streaming box, it ran pretty well, without any hiccups. Next, you get the HDMI that helps in streaming 4K content to your television, and the Ethernet port for connecting to the internet. You also get the wireless WiFi setup with dual band. The connection on the WiFi was pretty stable, even at a distance of 15 m from the router. All thanks to the hardware and software optimization, Apple brings to us. On this Apple streaming box, you get 2 variants, 32GB and 64GB editions. You can pick any variant you need depending on your needs and fun. 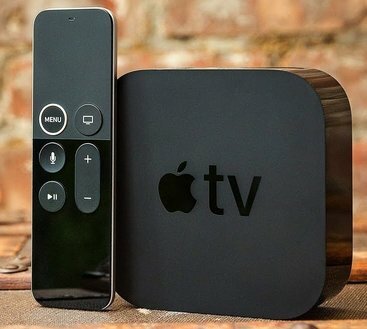 If you are only interested in streaming content online, then the 32GB Apple TV variant should suffice and fulfill all your entertainment and streaming needs. Note, you do not get any extendable storage, like on the Android TV boxes. The Apple TV 4K is made for the premium individuals that love their iPhone ecosystem and want to experience the same performance, and classy UI on their 4K television, with the very popular HDR feature. One of the most interesting feature of any Apple product is Siri. And, combining Siri with the remote for your Apple internet box, then it is a match made in heaven. The 4K remote for the Apple TV was really good, as seen in the earlier edition of the Apple TV. Both the TV remotes are the same, you just get a white band at the menu, for better visibility of the menu buttons and easier to operate. The Siri remote for Apple TV is very lightweight and slime, and has a total of 6 buttons, and a movable touchpad. This makes using the Apple TV very easy, unlike the Android wireless keyboards. You also get the an accelerometer and gyroscope to enjoy your twisting and turning games on your 4K television. You can charge the Siri-powered remote using the lightning cable, which lasts for around 6 months with a single full charge. The remote is highly known for its smooth performance and it is completely easy to navigate using the menu buttons. An interesting feature if Siri is to use the voice-powered AI to get the latest shows across your Canadian streaming apps or jump to the show that you want to watch quickly. Like the Amazon Firestick, the search again here is a problem, where you cannot search in all the apps. Searching is easy on apps like Netflix and iTunes, but no iPlayer or Now TV. The use for voice-powered remote are not a new thing in streaming boxes, but Apple has done a great job here, when it comes to operating your streaming player using the remote. You can also use Siri to control your television, by powering it on or off, adjusting the volume via the IR blaster. The setup of the Apple TV 4K is very easy for any iPhone user. You just turn on your bluetooth, place your iPhone near the Apple TV, and all your wiFi settings + the apple ID would sync automatically with the device. You can go ahead and start epxloring the apps on the Apple TV box. Another feature here is that you can use your iPhone as a second remote as the keyboard for typing, perhaps. Another interesting feature here is that you do not need to enter your username or password. Directly, use the voice powered Siri and transfer all the details easily, be t your password, on to your television. A final setup is activating the HDR feature. You can decide whether to opt for HDR or not. If your TV supports HDR, then powering the HDR mode is the best option, where the Apple TV configures all the settings automatically, bringing to you the best picture quality at all times on your television. The extra contrast and color adds up to the look of your streaming media. The automatic 4K and HDR setting is the key feature of the Apple TV 4K. We played an 4K stream over our Netflix app, and we loved how the Apple TV streaming box, maintained the correct aspect ratio, with superior picture quality. The action sequence in our streams were quite cinematic with appropriate color with a dynamic brightness punch, making it enjoyable to watch our streams very well. The picture looks very sharp and apt for a casual streaming days. But, however, any content that is on the lower side causes quality issues, as it upscale the pictures, making it look completely over-sharpened, and the images look completely distorted to watch. Hence, we always recommend that you enjoy full HD or 4K streams, made specially for the Apple TV 4K. No quality or less resolution streams should be avoided at all cost. Check out most of the streaming apps available on the Apple TV 4K. We found that several streaming apps were less optimized for the TV, than they were for your iPad or iPhone. To overcome this issue, you need to go to settings and tweak the video resolution, HDR settings and the refresh rates, so that your streams look watchable on the Apple TV. This is to override the automatic settings ad get a complete watchable streams on your TV. Note, at all times, ensure that you have strong, stable and faster internet connection. We however prefer that you look for apps like Netflix, Amazon Prime Video, Google Play Movies, etc. that are far optimized for the Apple TV, and let the streaming box decide the correct settings for your entertainment streams at all times. One of the other highlight of the Apple TV is the iTunes that allows you to store your favorite movies and streams at 4K HDR resolution. The cost of most streams are at the same cost of the HD streams. The movies subscribed on iTunes are automatically converted to 4K streams, when they are available. At the time of writing, most watch streams and movies are available on the 4K HDR format. So start building your iTunes library at all times and enjoy your entertainment on your couch. The Tv OS and the App Store is more evolved than the 2015 version of the Apple box. With time, many things have changed, and now you get thousands of apps, from games, cooking apps, storybooks, and fitness apps for everyone with different needs. However, many apps are still unavailable, like Spotify, but you can go ahead and run those apps on your iPhone or iPad and mirror them onto your Apple TV. You can also use the M3U player that can connect to an IPTV service provider and hep you watch live TV from Canada at HD resolution, depending on the service you choose. We have heard that Apple is trying its best to bring more streaming apps for the Apple TV. Truly, we call the Apple streaming player a star when it comes in providing the best internet streaming service for people of Canada. It is a capable device that can run all your gaming apps with ease, all thanks to the all new A10X graphic chipset. Most of the games that we tried on the Apple TV are ports from the iPhone or iPads. Hence, we faced performance issues with a few games, we even had swear a bit, due to the frustrations. The controls were bit off too at some times, and we felt the Siri remote was also only meant for casual gaming. You need a wireless keyboard to have precision controls during the gameplay. Coming to the games, all games had the best graphics we have seen. We loved playing Real Racing 3 on our 4K HDR TV, which was a completely bliss with great graphic and sound quality. For most gaming experience, the remote provided with Apple box is sufficient, but for more action packed games, invest in a better bluetooth powered controller for better experience. The 4K Apple TV is an entertainment hub that has all the right elements for everyone. From superior graphic, Dolby surround audio, with best gaming experience, and lag-free streaming, makes it a worthy buy. One thing that we didn’t like is that the Apple TV does not have a parental control. You cannot hide content or apps from your children, making it difficult to control content at the app level. You can also hook in the HomeKit that helps you automate all your entertainment needs for your Apple 4K TV. That means, any HomeKit compatible device like your smart lights can be controlled using the remote of your Apple TV, or activate a security cam at night. You can choose the product based on your needs. Why You Should Buy Apple TV 4K? Any Apple Fanboy should have this in their living room that want premium in any entertainment needs or for any device that runs on the iOs, be it TV. In addition, the brand value of the device is much more, with superior features and great quality product it brings for every consumer. If you have a 4K HDR TV in your living room, then you should opt for the Apple TV 4K that will supercharge your entertainment streams on your television. It contains all the desired apps on the iTunes facility, with the iOS powered TV OS that is very easy to use and operate. The box itself looks premium and compact and can fit easily in your living room. This entertainment hub sure brings about a lot of quality to every stream that you play on your television. The Siri powered remote is the highlight of this Apple TV box which gives you voice control capabilities to navigate through the menu and use the search feature intuitively. You would however need a wireless gaming controller to play games easily on this streaming device. We loved the iTunes feature that is adapted for the 4K television, with strong and growing streaming apps, with a hell-lot-of movies & serial catalogue to view from. Most of the movies available are automatically upgraded to 4K in the iTunes movies library. Why Shouldn’t You Buy Apple TV 4K? If you are not an iPhone user, then you should consider another streaming box or streaming stick. An Android TV box should be a better alternative, and if you are a gamer then the Nvidia Shield should be able to solve your needs for gaming + streaming. You can also read our post on: Best Android Tv Box Kodi Canada Edition – Buyer’s Guide 2018, if you love Kodi and its sources. You can also look for the Amazon Firestick or Roku streaming stick that is also easy on budget with much better app streaming support. How does Apple TV Work in Canada? Apple TV 4K works the same way like any Apple powered device. But as a prerequisite, the Apple powered streaming box is compatible with any high-definition TVs that have HDMI and are capable of streaming at 1080p or 720p at 60Hz frequency. The brand of your television does not matter, as long as you have the above requirements met. To use the Apple TV on your Canadian television set, just connect the Apple TV to a power source, with the DC adaptor, and then use the HDMI cable to connect the Apple TV box with your television. You don’t any iPhone or iPad for the setup process, but any iDevice can help you quickly simplify the overall process. Power on the Apple TV device. The online setup should be similar on the ones you find on your iPhone or iPad. You can also use the unique sync feature that allows you to connect your existing iPhone or iPad to the television via bluetooth and help you sync all the account details and the WiFi connection settings with the device. You can also use the ethernet connection to connect your Apple TV to the internet and sign-in to iTunes using your Apple account and sync all the settings on your Apple TV. The one-account helps to maintain a sync with all Apple devices, so that all your device have the unique data and settings. You can also use the iCloud feature to backup or sync your data on the cloud. To buy an Apple TV in Canada, click here. Or you can go and visit any Apple authorized showroom for a live demo + purchase with discount or offers. Apple TV like any Apple device is known for its premium pricing. But, the cost of the Apple TV Canada is approx. under the CAD$ 300 on the Amazon.ca website. We cannot specify the actual cost on our website, since Amazon refreshes the price everyday with certain discounts and offers available on the Apple TV, with a 1-yr warranty. It depends on which storage variant you want to buy. You can go ahead and check the right price on the website. You can also pick up the older 2015 version of Apple TV at under CAD$ 100 from any pop-store around your or on eBay.ca. You can also go in for the refurbished version of the Apple TV Canada that cost about half of the original cost with a 6-month warranty. Apple TV Box 4K is the most slickest streaming TV box we have reviewed so far. It is made for a specific niche consumers that love premium, with the Apple iOS interface for every device. Your smart TV should love this combination with the Apple TV and make it fly for all your entertainment and streaming needs. A must buy for them.